The programme will be jointly implemented by DULT and ULBs under the cost-sharing ratio of 50:50, not exceeding Rs 5 crore per city in a year. 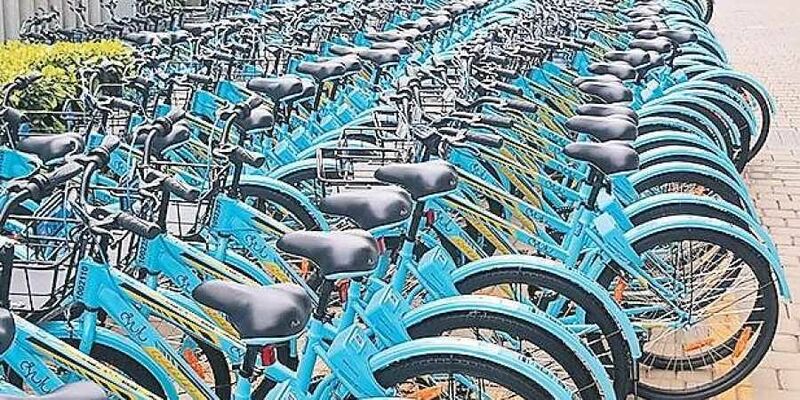 BENGALURU: With an eye on preventing upcoming cities in the state from developing on the lines of Bengaluru, the Urban Development Department (UDD) has planned to develop footpaths and cycle tracks in tier 2 and 3 cities. Under a project called ‘Green Links’, the UDD will promote Non-Motorized Transit (NMT) in all district headquarters. The state government has given cabinet approval for the project, and is set to issue work order to the Directorate of Urban Land Transport (DULT), the nodal agency for the project. DULT aims to build 1,377 km of footpath and 787 km of cycle tracks in all district headquarters in the state, except Bengaluru Rural and Urban. N Murali Krishna, Special Officer, DULT, told The New Indian Express, “The government has approved the project and we are waiting for the work order. The project will involve developing footpaths with provision for street furniture, street lighting, vending zones, curb ramp, on-street parking, tree pits, and pedestrian crossings, along with cycle tracks and footpaths,” he said. The ULBs will have to send proposals to DULT, which has divided the project into two categories. Under the first category, the DULT wants to improve pedestrian and cycling infrastructure in areas which are new additions to the city limits, Central Business District areas or active commercial corridors. In the second category, it wants to take up full pedestrianisation of the areas, and enforce zero-vehicle movement in heritage stretches. The project will cost Rs 50 crore, which DULT will spend in two annual instalments. It will consider spending more money on the project depending on the proposals received from ULBs. The project implementation is expected to be completed in about 12 years, and the ULBs will be responsible for the upkeep and maintenance for at least five years.